Don Betts - Providence River Boat - "Pickle"
"The boat was built to display decorated crocks for an art installation. I wouldn’t build anything just for the exhibit, it had to be a usable boat. 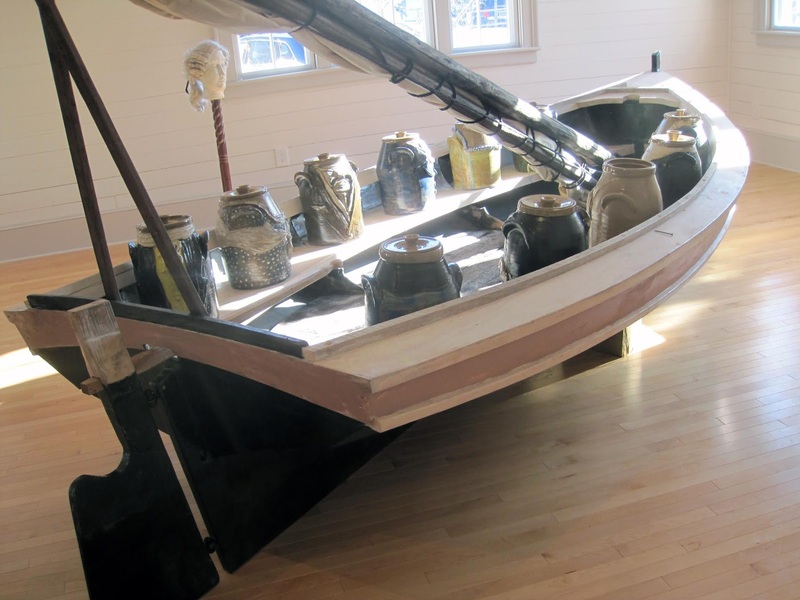 The design is from a mix of different boats There are two surviving 19th century Providence River Boats. One was too big ("Peggoty" over in Little Compton) and one was too small ("Button Swan" from Narragansett Bay now over in Mystic). Mystic also now has a newer version of "Peggoty", on shore behind a shed. My version of the boat is 14’ , the surviving originals are about 12’ and 18’. The jib helps with reliable tacking and gives the crew something to do. The boat will make most tacks without the jib if the crew moves aft. 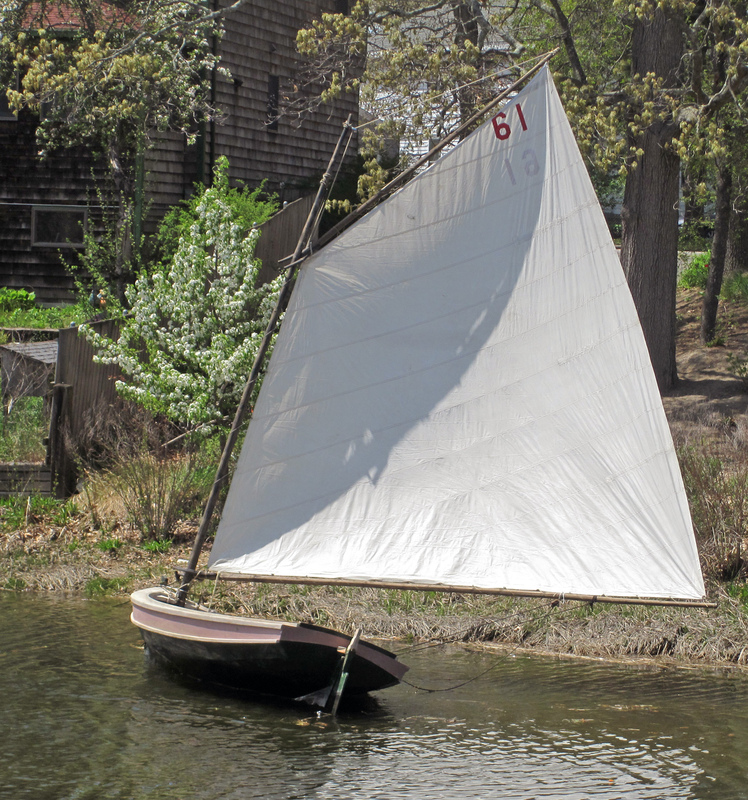 Chapelle’s American Small Sailing Craft page 243 has a drawing and description of the Providence River Boat, built in Newport Bristol Warren and Providence. After these pictures were taken the aft end of the keel and rudder depth was increased by about 4”. "Almost the same as most other centerboard catboats. 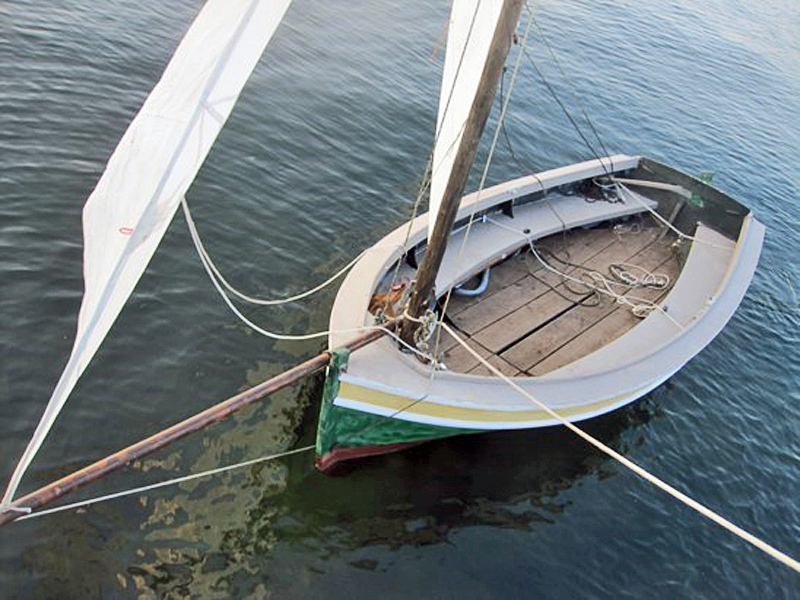 The full length keel, three inch at the bow sweeping to 16” at the stern does the trick. We keep the boat on a mooring but pick up and discharge on the beach. 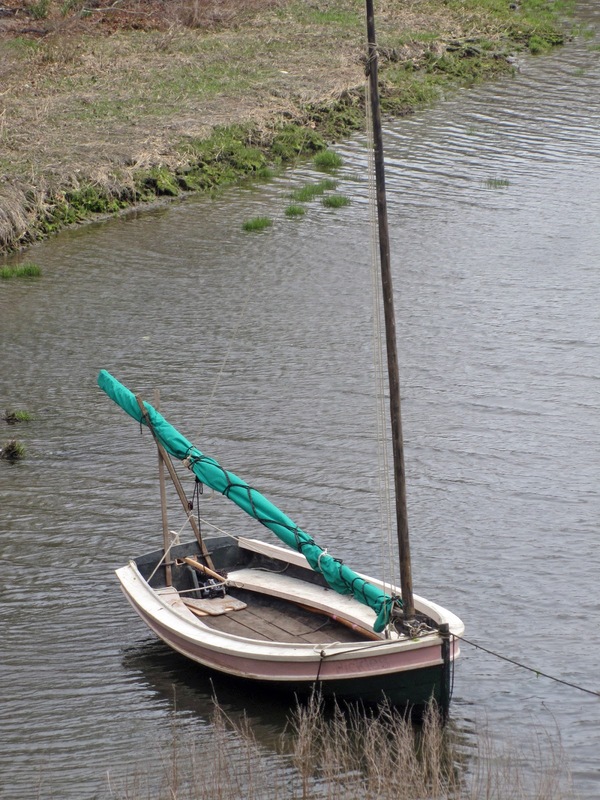 The boat is round enough that the aft end of the keel and rudder will lift free of the bottom by crew weight forward. Phil Bolger designed a little boat called Lady Slipper, an 8’ round bottom no centerboard with a similar deep aft end skeg-keel. I had sailed one at a boat show about 40 years ago and remembered the uncluttered cockpit feeling and lateral resistance balanced way aft so eventually made the connection between that and the Providence River catboats. The photos show a roomy daysailor that seems to take to ground well when the tide has gone out. The Providence River Boat with the original crockery art display. The jib bowsprit looks to be readily detachable. 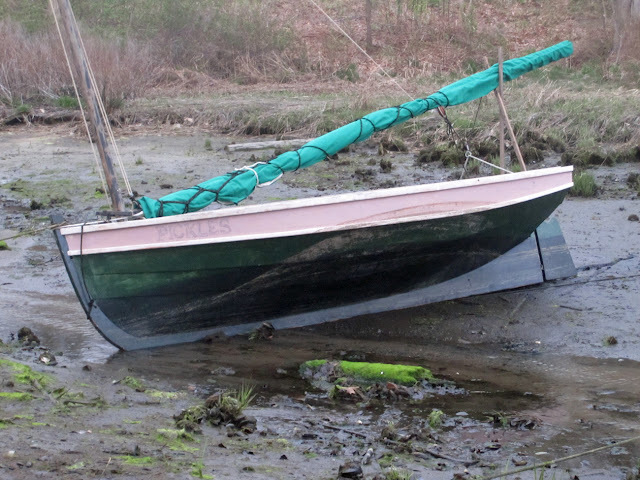 Plans for the Providence River Boat available from the Smithsonian.